Clear lines, unadorned elegance, pragmatic excellence; these are attributes that could not be closer to our own understanding of design, and also shapes our new special edition frames “Walter & Wassily”, dedicated entirely to the Bauhaus era. 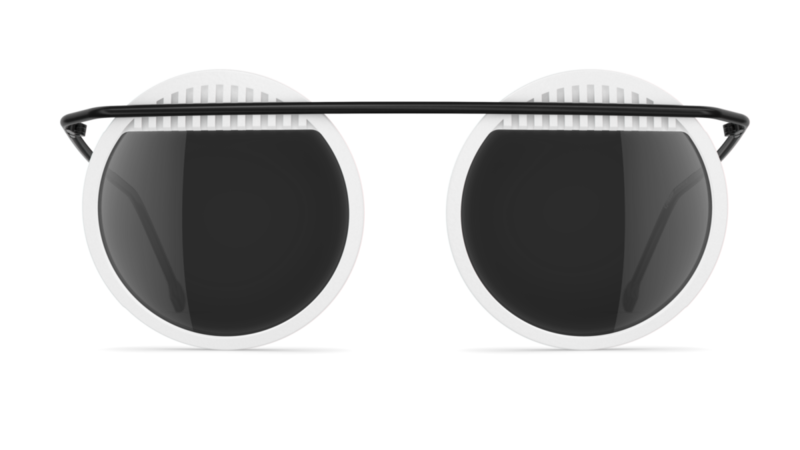 The high-end sunglasses inspired by Walter Gropius and Wassily Kandinsky (a painter and teacher at the Bauhaus) is a tribute to the clear formal language of the legendary Bauhaus figureheads. 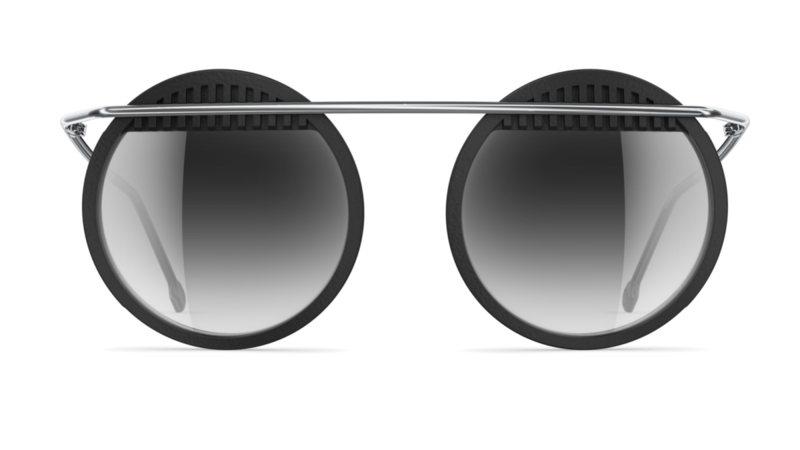 The metal tubes of the Bauhaus epoch were translated into an adaptable titanium frame, the unmistakable circle is a central design element in a futuristic 3D print, and essential shades such as brass, black and silver provide an interesting contrast throughout the high-end frames. 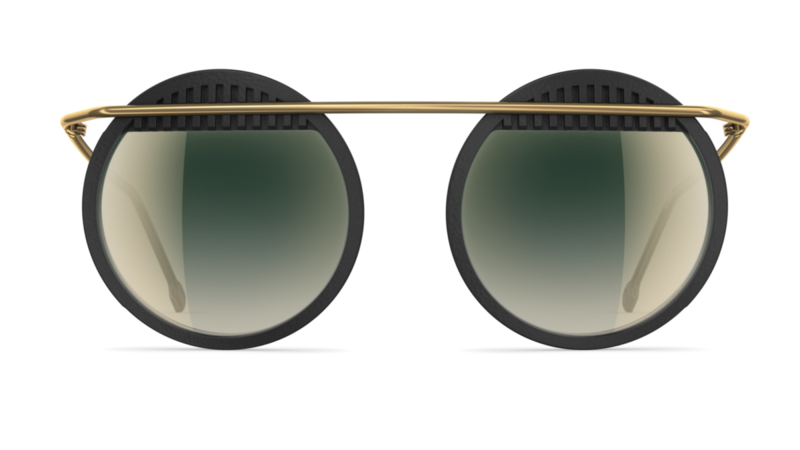 The high-end sun­glass­es are also a cre­ative take on their ethos that ​“form fol­lows func­tion”. For our ​“Wal­ter & Wass­i­ly” cam­paign shoot, we rein­ter­pret­ed the leg­endary Bauhaus cre­do and, adopt­ing the mot­to ​“human fol­lows form”, we’ve shown how design and peo­ple can be staged as an inno­v­a­tive duo. While inte­ri­or design and archi­tec­ture have long been cel­e­brat­ed as the pri­ma­ry dis­ci­plines of good taste, we have strived to make sun­glass­es — our every­day com­pan­ions — an impres­sive design object. This inten­tion paid off: For our Bauhaus-inspired spe­cial edi­tion we won the cov­et­ed 2019 Red Dot Award for Prod­uct Design! Out of 5.500 com­peti­tors Wal­ter & Wass­i­ly was cho­sen to be one of the best prod­uct designs.